Iwakuma, who is coming off of shoulder surgery, will receive an invitation to MLB spring training as part of the agreement. 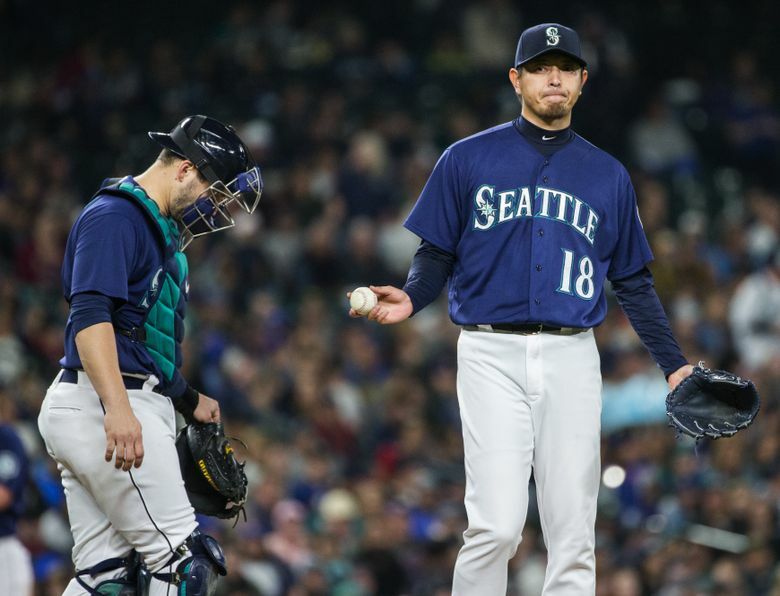 Instead of testing the open market in hopes of showing team he still has something left to give on the pitcher’s mound, Hisashi Iwakuma will try to do so the only Major League Baseball organization he’s ever known — the Mariners. On Monday, the club announced that the veteran right-hander had signed a minor league contract with an invitation to spring training. It’s a low-risk deal for a pitcher who has been nothing but a professional in the organization and loves living in the city of Seattle. Iwakuma, 36, made six starts in 2017, going 0-2 with a 4.35 ERA with 16 strikeouts and 12 walks. He went on the 10-day disabled list on May 10 with shoulder inflammation and never pitched again. He made numerous attempts to come back, including two rehab starts in mid-June. But he experienced continued discomfort from the outings. He tried different forms of rehab included injections of platelet rich plasma and cortisone. But nothing seemed to work. He finally underwent surgery on Sept. 28. He told Japanese media last week that he wasn’t sure when he would be cleared to pitch, but hoped to be ready by the start of the season. After an agreement for a 3-year, $45 million with the Dodgers fell apart before the 2016 season because of a failed physical, Iwakuma decided to return to the Mariners instead. He signed a one-year free agent contract with multiple option years, including 2017. Iwakuma had a $15 million club option for 2018 that vested automatically if he reached 162 innings in 2017 or 324 innings combined between 2016-17. Since he pitched just 31 innings this season, the option didn’t vest. The Mariners wisely chose not to exercise the option and paid Iwakuma a $1 million buyout. Iwakuma has spent all six years of his MLB career with the Mariners, posting a 63-39 record and 3.42 ERA in 136 starts and 14 relief appearances. Mariners general manager Jerry Dipoto made it very clear that he plans to woo Japanese phenom Shohei Ohtani in hopes of signing the two-way star this offseason. It’s unknown if having Iwakuma as part of the organization will be a benefit. While the two know each other and have mutual friends — specifically Yu Darvish, they are not believed to be particularly close. From Iwakuma’s instagram account ….